There are many reasons that may lead to someone needing a heart catheterization in the cardiac cath lab. Should it be an abnormal stress test, positive cardiac enzymes, or an acute myocardial infarction, the next step may be a heart cath. Even if your procedure is scheduled, or “routine,” it can be a scary experience. Our hope is this article will help alleviate the fear and uncertainty of what to expect as a patient in the cath lab. When you arrive to the hospital, the first step is registration. A representative from the facility will meet with you either in a dedicated registration area or in the emergency department should you arrive emergently. The registrar will enter your information into the facilities’ system and you will be assigned a medical record number. This medical record number allows your care team members to place orders and follow your care during your stay. An armband will be placed on your wrist. This band is very important as it is used to verify who you are for procedures, tests and medications. Even though this does not normally happen in the cath lab, it is part of being a patient in the cath lab. From the point of registration, you will be taken to a pre-procedure area. If you arrive to the facility emergently, your pre-procedure tasks may be done either in the emergency department or the cath lab itself. Consent for the procedure will be obtained. 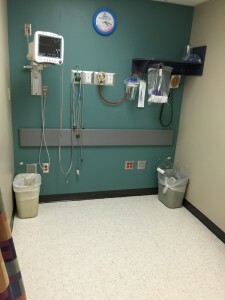 You will stay in the pre-procedural area until a staff member transports you to an available catheterization lab. 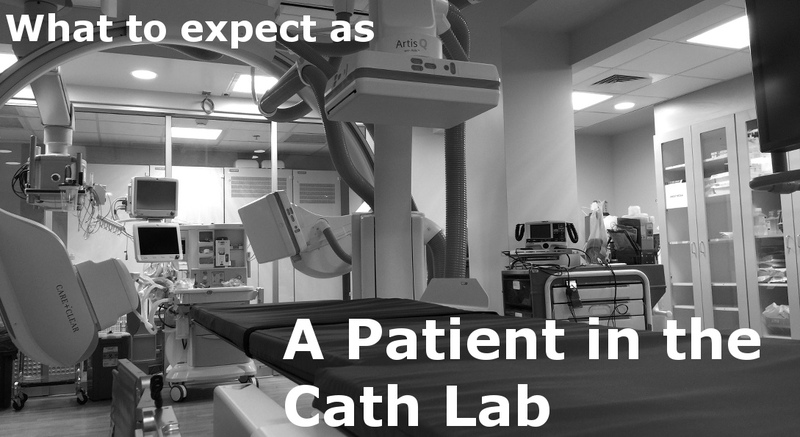 While you wait, a staff member may explain what to expect as a patient in the cath lab. 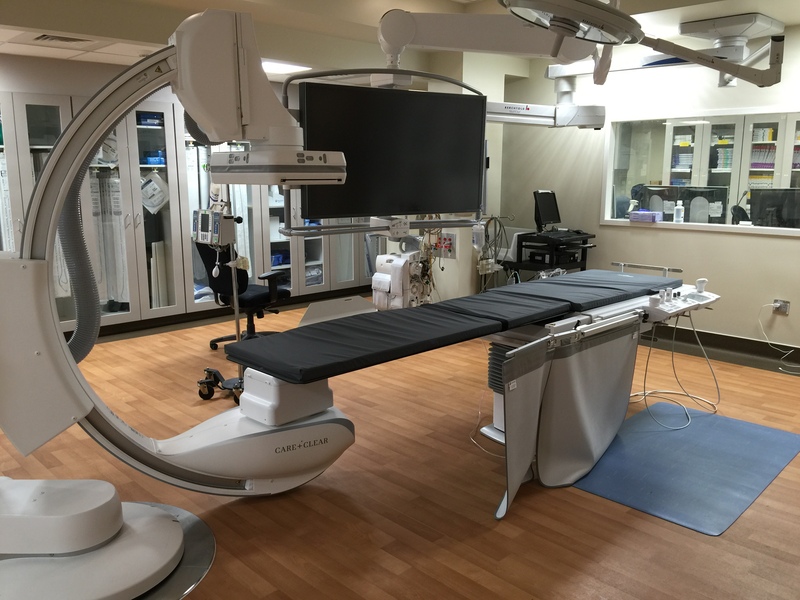 In the Cath Lab – What Should I Expect now? The cath lab can be very overwhelming and intimidating as many people don’t know what to expect as a patient in the cath lab. There are large pieces of equipment, monitors and lots of cables and tubes. The lab staff will assist you onto the procedure table from your stretcher. Once on the table, which can be flat and uncomfortable, the staff will place you on monitoring equipment and supplemental oxygen. Your vital signs will be monitored continuously during the procedure. A staff member will prepare your groin by removing hair with electric clippers. After these preparations are complete, the sterile scrub assistant will begin “prepping” you. They will clean the area the physician will use to gain arterial access, either your groin or wrist. The antiseptic solution used will feel very cold. After you are “prepped,” it is very important to keep your hands down by your side. This helps reduce your chance of infection. A sterile drape will then be placed over top of you. The sterile scrub assistant will then continue preparing the equipment that will be used for your procedure. Once the physician arrives, the staff may give you some IV medications to help you relax. The sterile scrub will assist the physician into a sterile gown and gloves. The physician will numb the area that will be used with a local anesthetic. This small injection typically is the most uncomfortable part of the procedure. It has been described as a “bee sting” or a “burning” sensation. The sensation is similar to that of dental work. After numbing the area, a small needle is used to locate the artery. Through this needle, a small wire is inserted and a small tube is placed into the vessel. This tube, or sheath, allows the use of other catheters while minimizing bleeding. From here, the physician and staff will run small catheters up to your heart. Through these catheters, X-Ray dye is injected to outline the vessels of your heart and the blood pressure is measured. Wait? You said they could use my wrist? The radial, or wrist artery, is a newer approach to heart catheterizations. The technique is similar to groin access. After inserting the sheath into the artery, a small amount of medication is given in the sheath to help keep the artery from becoming irritated. The sheath allows the same catheters to be run to the heart as from the groin. The radial approach is preferred by many physicians and patients as the patient in the cath lab does not have to lay flat after the procedure. The physician may elect to measure the “pumping ability” of your heart, known as the ejection fraction. You may experience a warm sensation or the feeling that you have urinated when this is performed. This is perfectly normal. After gathering the pictures needed, the physician will review all of the images. Should a problem be found, your physician will discuss the options for treatment. These may include: stenting of the vessel, surgical treatment, or management with medications. I Need a Stent – Hows That Work? If your physician decides a stent is the best course of treatment, it normally can be taken care of while you are on the procedure table. Using the same sheath, a specialized catheter is inserted and guided to the artery that needs attention. 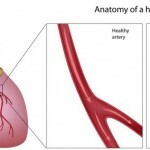 A small wire is threaded into the artery past the blockage. This wire, known as a guidewire, is used to direct the equipment needed to fix the blockage. Typically, a small balloon is passed over the guidewire to the blockage. This balloon is inflated to open a small “channel” and increase blood flow in the artery. After ballooning the artery, a stent is chosen to hold the artery open. There are currently two types of stents: “bare metal” and “drug eluting.” A drug eluting stent is coated with a special polymer and a medication. This medication helps keep the stent from clotting or “blocking up.” Stents are carried on a balloon similar to the ones used to open arteries. Once the physician has placed the stent where it is needed, the balloon is inflated and the stent expands, holding the vessel open. After a stent is placed, additional pictures are taken of the artery to make sure everything is open as it should be. If all is well, the wire and catheter are removed. What Should I Expect as a Patient in the Cath Lab Now That I’m Done? If your procedure was done through your wrist, a small band may be placed on the access site. This band will hold pressure to keep you from bleeding. You will be given instructions by the lab staff on how to care for your wrist. It is generally advised to treat the wrist like it is broken for about a day. If your procedure was done through your groin, a picture may be taken of the artery used. Dependent on your physician, a device may be used to close the hole made in the artery during the procedure. There are many different types of closure devices, and most are relatively pain free. The general benefit of a closure device is you will be able to sit up and walk sooner. If your physician decides against or cannot use a closure device, a staff member will remove the sheath manually. They will then hold pressure by hand for around 20 minutes. Generally, you will have to lay flat for a few hours. The staff and your physician will give you specific instructions for your post-procedure care. Many people have said after being a patient in the cath lab that the procedure wasn’t uncomfortable, and the waiting to get started was the worst part. After this is finished, you may be transported to a recovery area or a room. The staff will continue to monitor you, your vital signs, and your access site. After you have recovered from any relaxing medications, you will be transferred out of the recovery area. Your care team will determine the next step of your care. Generally if you received a stent, you will remain in the hospital overnight for observation. Yup went just the way you explained. Thank you for calming my fears. Thank you Paul. I’m glad to hear this helped calm your fears. Hope all went well with your procedure! Thank you Brad, this help more than you know. I was horrified when I heard that I needed heart cath, however after reading this my nerves are a little calm. My procedure is coming up in a week and you have calmed my anxieties. Thank you Dorothy! I hope your procedure goes well.